They were prevented from visiting each other for five months. Foujan is 20 years old and Milad 31 years old. 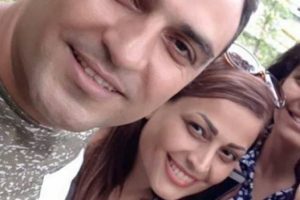 They were both arrested for being Baha’is on September 23, 2018, just one month after they were married, and were unable to visit each other until last week. A source familiar with the case told Iranwire: “During this time, they were prevented from visiting each other because they did not have proper identification, such as a National Identification Card and birth certificate. The prison authorities did not recognize their Baha’i marriage certificate as a valid marriage document. The young couple’s identification documents had been confiscated during the raid and search of their home and their arrest by security agents. The documents were finally returned to them last week, so they were able to visit each other after five months”. Around 6:30 A.M. on Sunday, September 23, 2018, Ministry of Intelligence agents, search warrants in hand, went to the homes of six Baha’is living in Baharestan simultaneously, and after a thorough search and confiscation of some personal belongings, computers, laptops and cell phones, arrested five of the residents: Afshin Bolbolan, Farhang Sahba, Anoush Raeineh, Sepideh Rouhani and Bahareh Zeini. One of the homes belonged to Foujan Rashidi’s father. Mr. Rashidi told the agents that his daughter had been married for a month, and did not live with them. 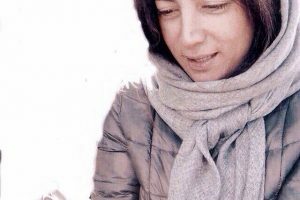 After searching the Rashidi family’s home, the agents, together with Foujan’s parents, went to her home, and after searching the place, arrested Foujan and her husband, Milad Davardan, as well. A few hours later, another Baha’i, Saham Armin, was also arrested, and all eight Baha’is were transferred to the Sepah Intelligence detention center in Isfahan. The prisoners were held in solitary confinement and interrogated for 17 days. The women were then transferred to Dowlatabad prison, and the men to Dastgerd prison in Isfahan. The court hearing for the eight detained Baha’is, as well as another Baha’i, Ali Thani, presided over by Judge Ali Dayyani, was held on November 11, 2018 in Branch One of Isfahan Revolutionary Court, and the defendants were tried on charges of “membership in the illegal Baha’i administration with the purpose of acting against domestic security” and “propaganda against the Islamic Republic regime by teaching the Baha’i Faith”. According to the preliminary verdict issued on November 30, 2018, five of the prisoners, including Milad, were sentenced to six years in prison, and the other four, including Foujan, to four years in prison. The appeals court, presided over by Judge Assadi, convened on December 25, 2018, and upheld the preliminary sentences. Following the appellate court’s verdict, all nine Baha’i prisoners were held in prison to serve their sentences. 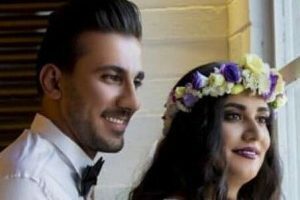 Foujan Rashidi, the 20 year-old newly-wed Baha’i, suffered from low blood pressure during her solitary confinement, but the interrogators, ignoring her physical condition, continued the interrogation, and created a critical condition for Foujan, who is still suffering from the consequences. Before her arrest, Foujan was a student in Psychology at Payam-e-Noor University, from which she was expelled after the arrest. Before his arrest ,Milad Davardan, the 31 year-old newly-wed, worked for a company as an accountant. Due to his long imprisonment he was also fired from his job. This Baha’i couple were sentenced to a total of ten years in prison. 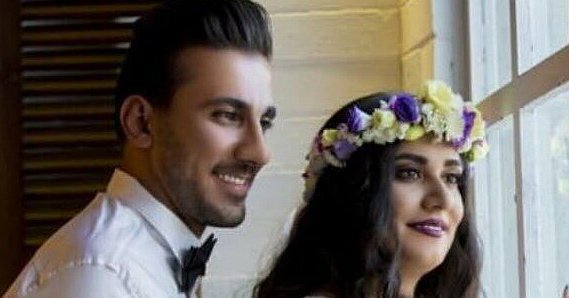 In less than six months, the lives of a newly-wed Baha’i couple in the town of Baharestan were turned upside-down by a judicial verdict because they are followers of the Baha’i Faith. Posted in Arrest, Education Is Not a Crime, expulsion.